Free eye tests in thirty-six Italian towns and cities have taken place on October 9th 2008 and on the following week-end for the World Sight Day 2008. Their main aim was to prevent glaucoma, a disease that can cause blindness-generally produced by high eye pressure. Ophthalmologists did check-ups in gazebos in many historical squares in Italy completely free of charge by using a tonometer, an instrument which allows them to check if you risk damage to your optical nerve. The World Sight Day focused on preventable eye diseases which especially affect old people. It is better to have your eyes checked if you older than 35-40 years. 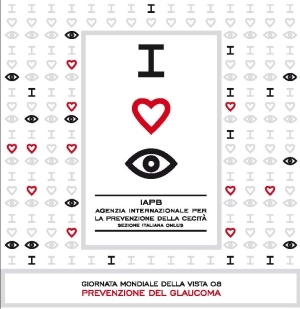 The Italian campaign was aimed at stressing the importance of ophthalmic care and prevention. “Losing onés eye function is an avoidable tragedy in 75 cases out of 100. Thus, it is important to be examined by a specialist regularly. 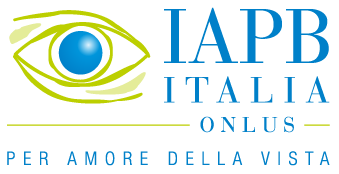 Moreover, IAPB Italy is working together with other organisations to eliminate avoidable blindness globally, in order to give everyone in the world the Right to Sight (Programme Vision2020)”, said Giuseppe Castronovo, President of IAPB Italy. Schedule Thursday 9th October 2008: Milan (via Vivaio 7), Verona (p.za Brà), Genoa (p.za del Porto Antico), Florence (p.za della Repubblica), Terni (p.za Europa), Rome (p.za Flaminio, via S. Nicola dé Cesarini - near l.go Argentina - and in front of the Hospital A. Gemelli), Bari Bari (via Sparano), Reggio Calabria (p.za Camagna), Palermo (via Magliocco), Potenza (p.za Prefettura),Trento (via Belenzani), Asti (p.za V. Alfieri). Saturday 11th October 2008: Novara (p.za Puccini), Pavia (p.za della Vittoria), Pistoia (p.za S. Francesco), Isernia (p.za Celestino V), Aosta (p.za E. Chanoux), Varese (via Marconi), Frosinone (p.za Salvo d’Acquisto), Taranto (p.za Vittoria), Naples (p.za Dante), Catania (p.za G. Verga), Enna (p.za 6 dicembre), Ferrara (p.za Castello), Salerno (via Velia) + Belluno (p.za dei Martiri).